Attuning our senses to empower mastery in our everyday movement is our birthright. But somehow finding ease in getting up out of a chair, or finding quiet postures such as standing or sitting can be overlooked as ways we can find true grace with gravity. I was recently reminded of what called me to teach in the field of movement. Helping others was so foundational to the core of how I was raised, so the field of physical therapy seemed to be the obvious place to start. My husband thinks I’m an enigma because I’m still passionate about my work. He also reminds me that not every conversation with others needs to be a discussion on becoming more aware of their movement. So when I was introduced to foam rollers in my Feldenkrais training, I became excited on how these tools could help create the right conditions for learning through movement. We applied this experiential learning which is similar to how we learned as children to feel the freedom to move and sense ourselves in our environment. This playful learning allows us to foster our most innate intelligence to solve and evolve our movement and embodied skills. As adults, we need to be reminded of this. We become distracted with what we think we should do vs. what we feel we should do. This happens partly because our felt sense has been diminished through the lack of creative self guided movement. There also is a lack of trusting ourselves, and feeling the need to ask others to direct us to move correctly. She witnessed one of her students was experiencing back pain from his long commute to her workshop. She offered to him her Smartroller® to see if this could ease his discomfort. As she describes it, she just told him to get on the Smartroller without telling him what to do. 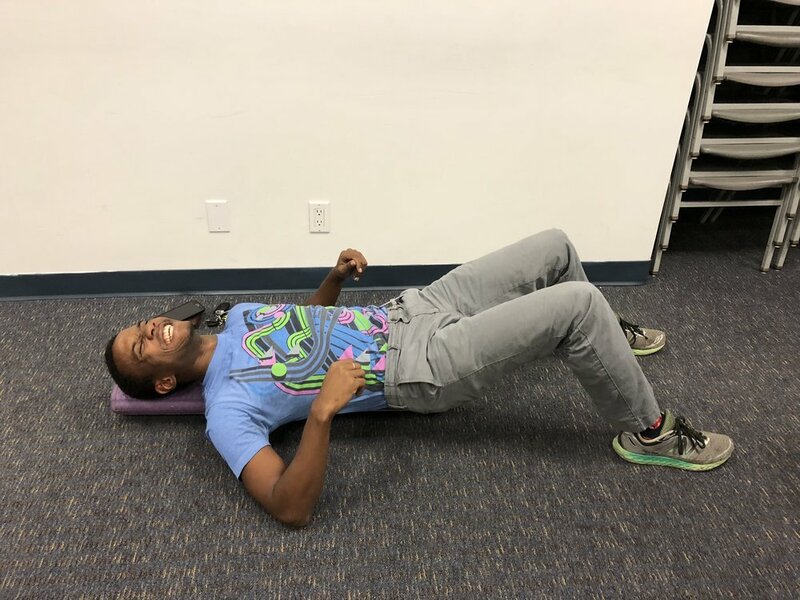 He not only trusted his own sense of curiosity to play with movement, but he later says, “2 minutes on the Smartroller was like an hour of Yoga.” He was also observed to move more comfortably the rest of the day. Join me as we explore further with smart somatic solutions at the FGNA 2018 Conference.